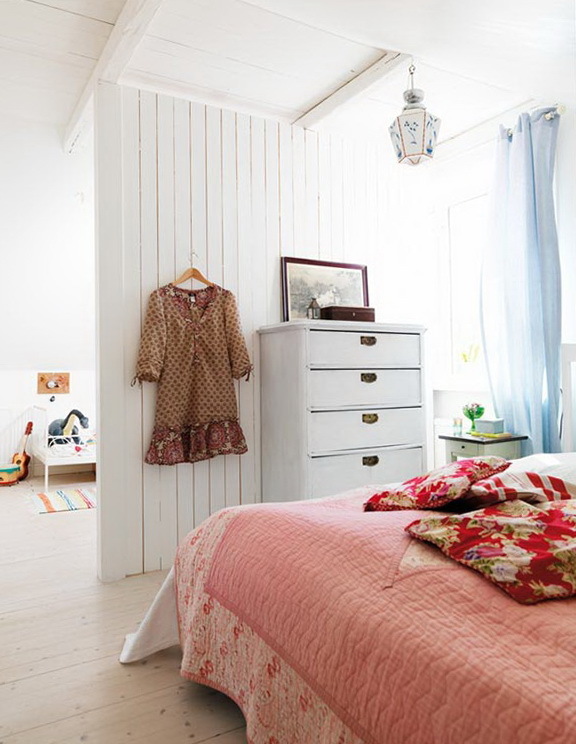 The interior is in a range of colors will help you regain strength, it helps to enhance the mood and get the house nice and snug. 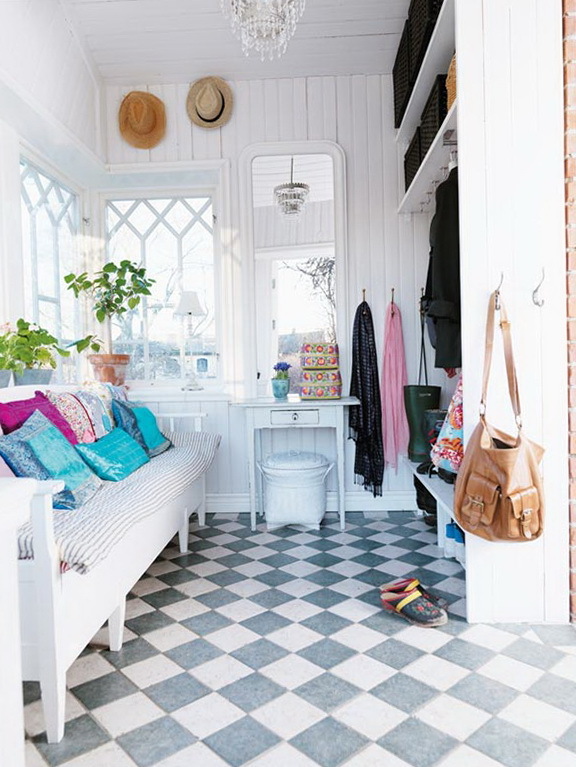 Such color shades will suit those who love spring weather, and loves, bright sunny paint will bring the ambiance of the house is the spring and summer and in the autumn charge of optimism. 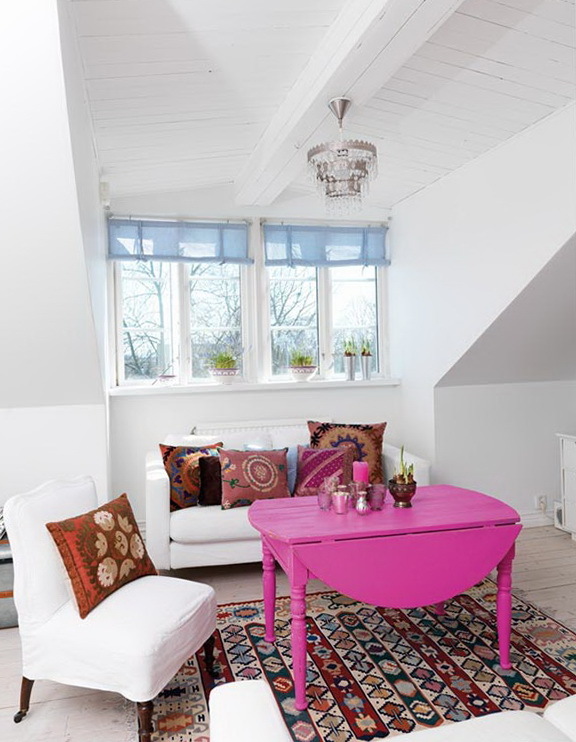 This interior is very sleek and airy, beautiful decorative objects of bright colors make colorful apartment. Ladies’ room with table looks gorgeous, beautiful table with carved legs white goes well with blue walls approximate to the color turquoise. 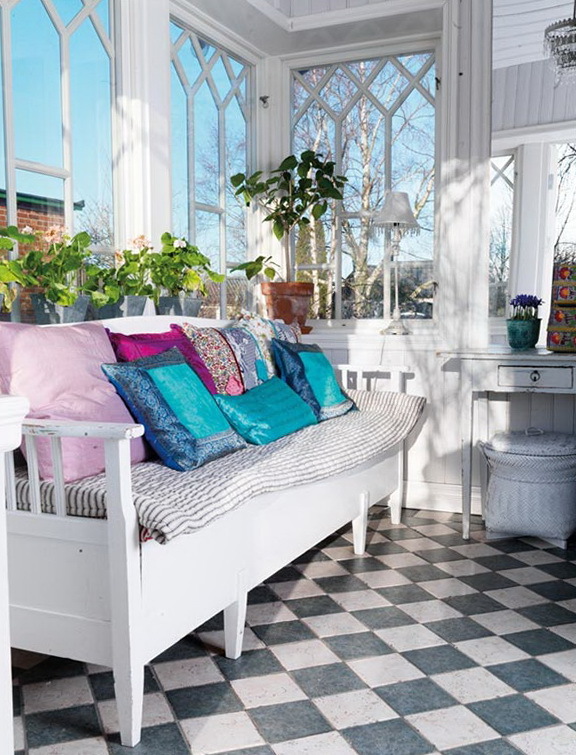 The living room is completely clear, the color of the white walls of the snow-white sofa, white shades go well with the specific details of bright colors, such as bright pink wooden table, old carpet with ornaments, and beautiful cushions complete the composition. 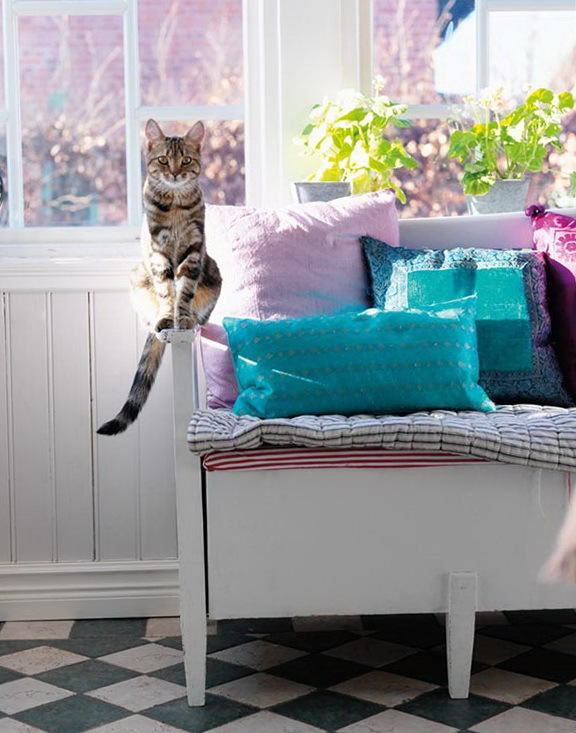 The living room is small but comfortable, small windows look very nice on the windowsill pots are set in beautiful pots. The ceilings in the house are old and wooden, having painted them white, underlined the old mansion, and upgraded it at the same time. 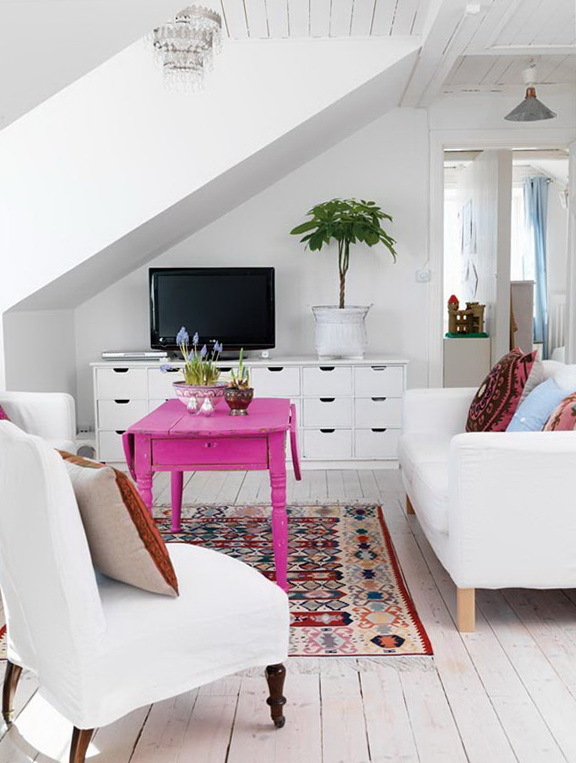 Pink color with beautiful flowers goes well with white space. 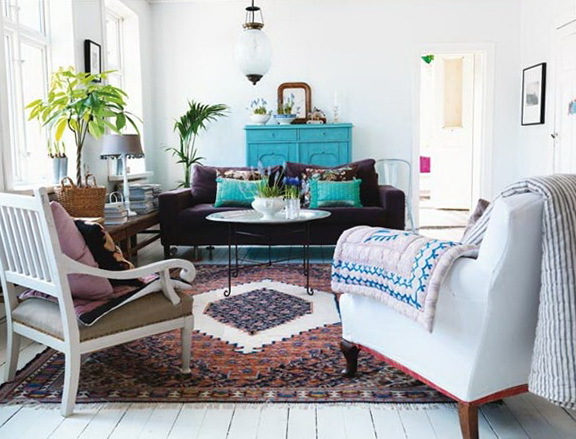 Another area has colorful and diverse objects such as turquoise dresser goes well with the dark purple sofa on which are beautiful and bright turquoise pillows. 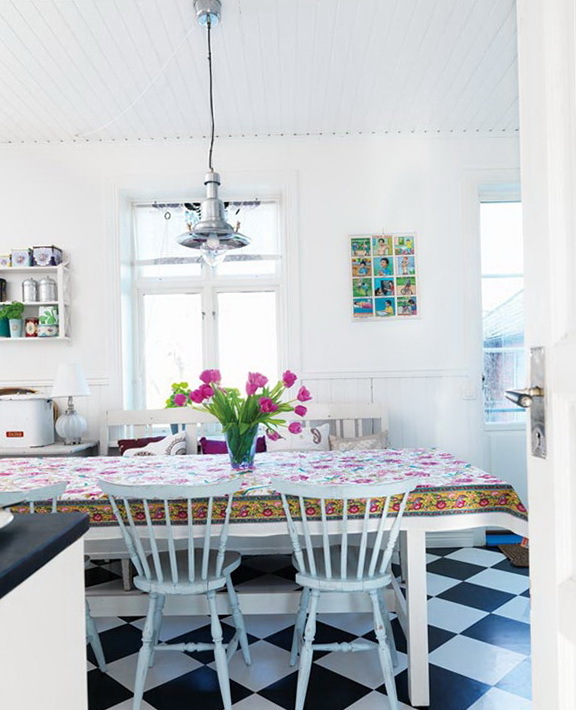 Dining table near the kitchen is designed for more than the number of guests, a beautiful tablecloth with flowers in a traditional style makes the room brighter and vintage chairs complement the picture.